‘Khet Khaye Koi,Maar Khaye Koi’. This ancient dictum popular among the residents of Ranchi has turned out to be true in this land where Union Minister Arun Jaitley faced the charge of violating the model code of conduct by using the official car carrying red beacon light. In a complaint filed on Tuesday, Inspector Prem Kumar Mandal had said that Jaitley had come to Ranchi on the party works to release its manifesto with the BJP President Amit Shah. After his arrival,he used the official car carrying the red light which was alleged to be in violation of the model code of conduct in Jharkhand where the Assembly polls are going to be held in five phases in November-December. Following the complaint,the state election commission and the district administration reportedly carried out an inquiry. 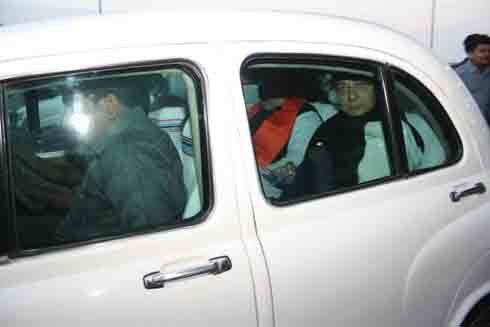 On Wednesday, Sushant Pall,driver of the car used by Jaitley, was suspended on the charge that he drove the care carrying the beacon light. “The matter is under investigation.After the report was submitted, further action will be taken”,said a police officer.